kitchen window out, new window frame in, originally uploaded by berkeleygal77. 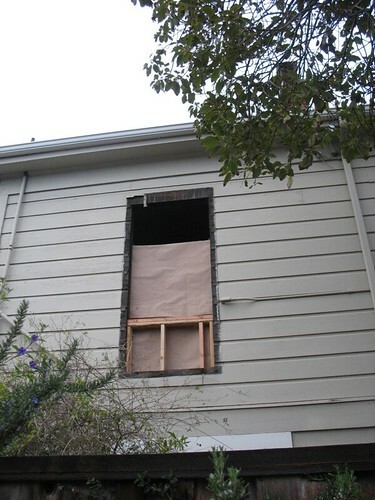 The old kitchen window frame was rotten and falling into the room on a regular basis, so new wood frame was put in! Also, click on picture above to see house minus Lincoln Logs!